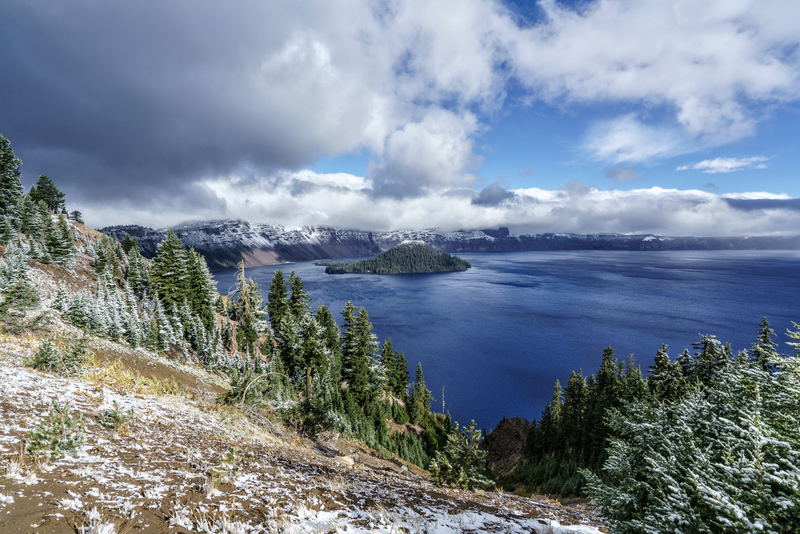 Christmas Day seems a timely occasion to revisit my catalog of wintry photos, and this scene from the first snow at Crater Lake National Park last year, with white-dusted pines enveloping the lake, fits the yuletide mood. I've shared images from this day a couple times before (here and here). This hike up Garfield Peak Trail ranks among the most enjoyable I've done because snow makes all landscapes more enchanting. And thanks to Pavlovian conditioning, I even find the crisp bite of the chilly air comforting.